Watford Professional Boxer fights on! Watford certainly started off 2013 punching back in boxing, and following the good work of Watford Heavy Weight, Anthony Joshua winning a gold medal from the 2013 Olympic Games. Liam was one half of the recent Watford 10K race Batman duo that raised £925 for Mencap Watford. The local professional boxer is asking Watford businesses owners, with a bit of help with getting him 110% ready for the boxing ring and reaching his goal of winning a British Lonsdale. It has just been announced that Liam will be fighting in the Prizefighter tournament, which will be televised on Sky Sports. The PrizeFighter tournament has 8 fighters, four quarter finals, two semi’s and a final all in the one night. Then later on this year, Liam will be fighting back at Watford Colosseum, for the first defence of his belt. This 27 year old knew from a young age that he had a passion for boxing, and wanted to follow in his Dad and uncles footsteps, taking regular road runs with his dad from the age of eight, it wasn’t long before he was training down the local Boxing club, Bushey ABC where his uncle Danny was the head coach. Liam had his first amateur fight at 11 years old, following on with 65 fights, winning 45, and representing England on seven occasions. In 2002, after winning the national ABA junior championships, Liam represented England in the Junior Olympics in Michigan, USA, coming back with a Silver Medal. Over 10 years later Liam is has been unbeaten as a professional in seven contests and currently Southern Area Lightweight (9st 9lb) Champion. As any sports person with a passion to be the best knows, there's plenty to pay out for in order to keep getting better (and better). Professional Boxers are licensed, along with an annual brain scan (which alone costs over £300). Unlike professional football players, boxers get paid only for the actual fights. Liam has to continue to raising his punches and look for ways to help him with the expenses of training equipment, supplements and travel for the extensive training he commits his time to. So if you are a business owner in Watford and have a passion for boxing or feel your business has a synergy with fighting back. 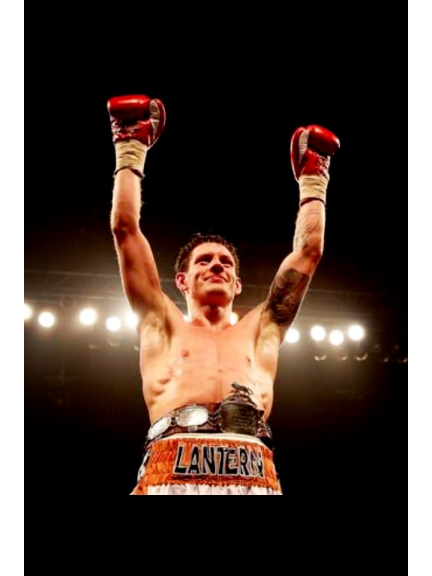 There are many benefits for the right business raising their profile, please contact Liam on liamshinkwin@gmail.com or 07985 707 504 to find out more about gaining a professional sponsorship deal with the (very) determined Watford boxer.